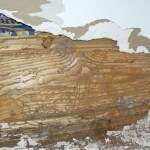 Here are some great photo’s showing what it looks like when termites work their way into a wall void. 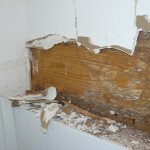 The pictures show damage to the sill plate, sheetrock, floor boards, subflooring and rim joist. Sill plate with termite tubes and damage. 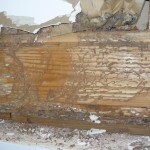 Termite tubes on wall studs and sheet rock paper. Rim joist with termite tubing and mud etched over surface area. Filed under pictures by Help on Apr 3rd, 2011 .